What do you want to unwrap on the 25th of December? Same old socks and handmade cards? If you want more this Christmas, mFortune casino has you covered by giving away 75,000 free spins bonuses. There are so many expectations to be happy and joyful on December 25th, it’s hard to actually meet them on the day. Well, mFortune Casino is giving away 75,000 free spin bonuses to 600 lucky players who play this month, and you’ll get those in your stocking come the 25th. How do you get your slice? Are there any terms and conditions you should watch out for? Will you need to be naughty or nice? We answer all your burning questions about this Christmas casino promotion, and more importantly, whether you should even play. As with all mFortune casino promotions, they like to keep things simple. The thief Buster from their Buster Safe slot has escaped with a ton of loot from the casino in the form of free spins. It’s your job to get them back by… playing slots. Any or all mFortune casino slot games. Every £€$20 deposit you make at mFortune in December, and then play through on their games, will give you one ticket into the draw on the 25th of December. Multiple deposits will get you multiple entries, but you can only win one prize from the total 660 because that’s only fair and mFortune want to make lots of gamblers happy this Christmas. How many mFortune free spins can I win? As we mentioned, there are a total of 660 prizes giving away a total of 75,000 free slot spins. 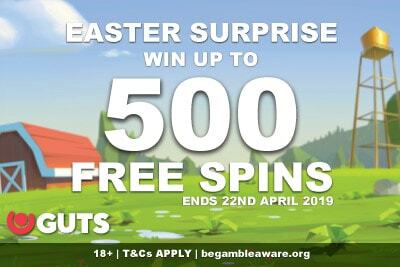 These are not evenly split, but we do know that there are multiple top prizes of 1,000 free spins for some lucky few, while many (we suspect) will probably win somewhere between 15 and 100 free spins. mFortune are not releasing the exact details, namely because they want the prizes to be a surprise come Xmas day. After all, part of the fun is getting a gift is the unwrapping of the reward within. Are there any T&Cs to watch out for? There’s always something because nothing in this life is free. 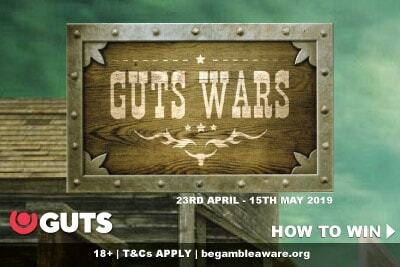 18+ T&C’s apply Be Gamble Aware. All in all, this is pretty fair. The slot game you get the free spins on haven’t been set, but we hope it’s some of their newer fares like Cashanova Cashpots or the Cherry 7 slot. Is this mFortune Casino free spin promo any good? 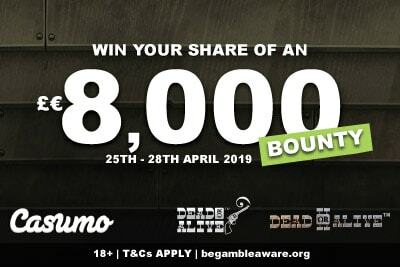 Well, this is a raffle, so obviously, the best thing to do is play at mFortune because you want to, not just because you might win some free spins. This is a casino that gives you free spins on their games just because it’s Tuesday and they are bored. What we are saying is that not only do they have a generous welcome offer, but they stay generous even after you’ve made that first deposit. 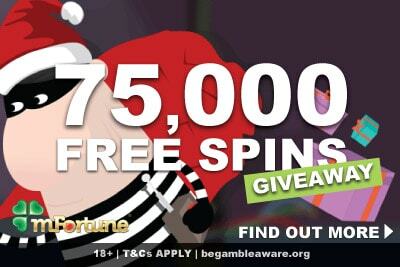 So this 75,000 Free Spin Giveaway is exactly their style: lots of spins, for as many people as possible, for the loyal gamblers willing to stick with them over Christmas. Most casinos stream their content online, meaning that (sometimes) the games can run a little slow, especially if you are not playing on your iPad over wifi. And while you can do that with mFortune, it’s worth downloading the app onto your phone because it makes the experience seamless, easy to deposit, and practically unbreakable. We’ve taken phone calls and gone back to playing without missing a spin is what we are saying. The slot games are all of their own making, granted, so you won’t find your favourite NetEnt phone slots or that new Thunderkick game you’ve been playing for the last 2 weeks. But you will find wonderful 3 and 5 reel video slots with classic features and fun gameplay that you won’t find anywhere else online. And, if you are really lucky, maybe even find 1,000 free spins come Christmas morning.